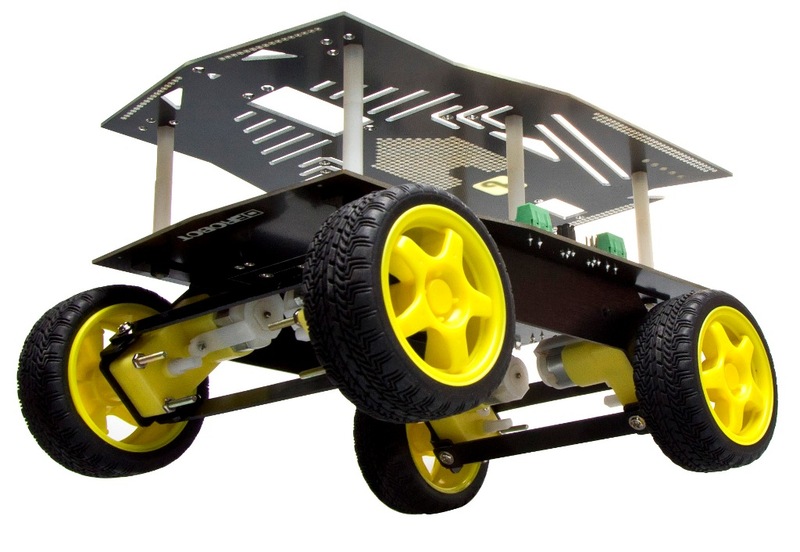 The Cherokey 4WD arduino mobile robot is a versatile mobile robot that is compatible with popular microcontrollers such as the arduino UNO, arduino MEGA 2560, Romeo, etc. 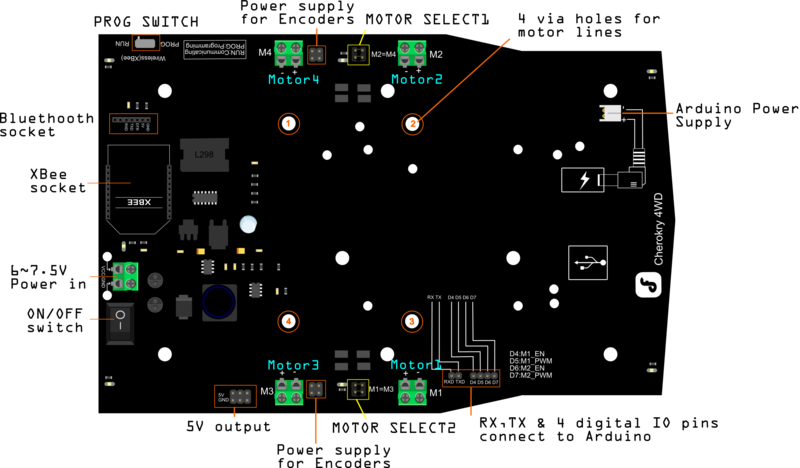 The Cherokey PCB is embedded with a L298P motor driver chip which allows it to drive two 6-12v DC motors with a maximum of 2A current. The integrated 2 way DC motor driver and XBee & APC220 socket allows you to start your project immediately without the need for an additional motor driver or wireless shield. 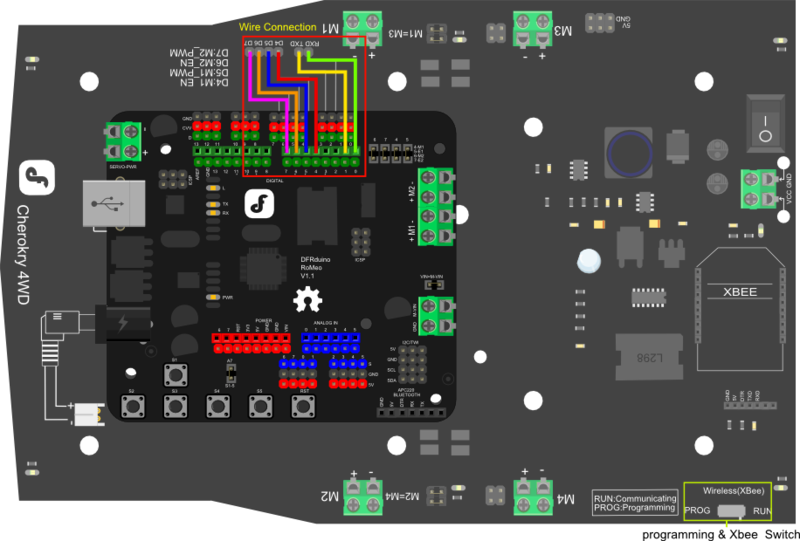 The expansion plate significantly increases the surface area of the Cherokey allowing you to easily connect a 9g micro servo or a standard sized servo in two different locations so that you can install a robotic arm or ultrasonic/IR sensors. The prototyping area makes it convenient to install sensors on the robot. Double sided solder pads in the middle of the top place can be populated with DIP or SMD components to extend the robot's functions. The high strength aluminium alloy chassis provides flexibility in rapid movement particularly in outdoor envioronments, such as grass, gravel, sand or sloped surfaces. 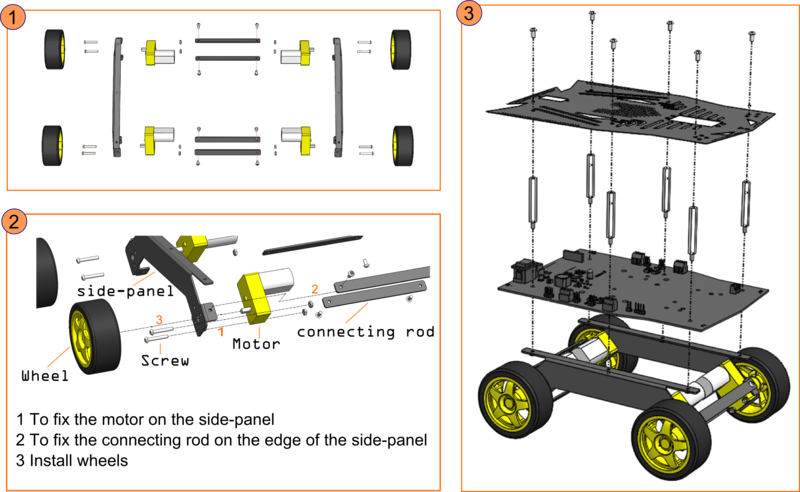 The Cherokey 4WD mobile platform is also suitable for robot competitions and research-related projects. Mounting holes compatible with Arduino UNO, MEGA, Romeo, etc. 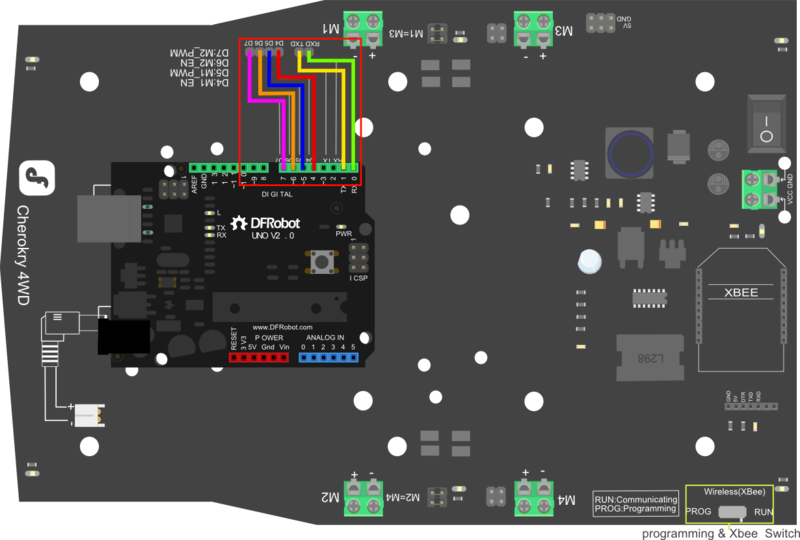 In the above diagram the 4 digital I/O pins in the lower-right corner can connect to any digital pin of an Arduino or similar microcontroller. In order for it to work you must make sure the correct pins are assigned in your code. The Cherokey is compatible with most microcontrollers,such as Arduino UNO, Diecimila, Leonardo, Mega 1280,2560, ADK, Romeo etc. If you use the RoMeo, you have complete control of 4 motors simultaneously. 1 If you use Romeo or a Leonardo board where "RX0"&"TX0" are not exposed, you need to change "Serial" to "Serial1". 2 Turn the "PROG/RUN" switch to the "PROG" position when you are going to upload the sketch. 3 Turn the switch to "RUN" position when you are going to use Xbee,APC220 or other modules. Install Battery on the back of the board.You can install 5xAA battery holder or lipo battery on the back of the board. 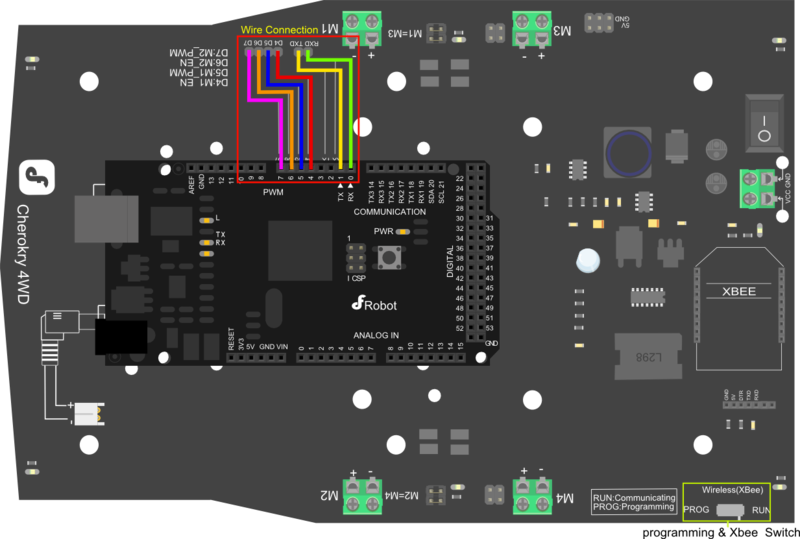 After code has been uploaded to the microcontroller, unplug the USB cable from the board. Place the Cherokey on a flat surface and at ground level for safety. Turn the Cherokey on using the switch at the rear. It should go backwards, forwards, turn 90 degrees to the left and turn 90 degrees to the right. 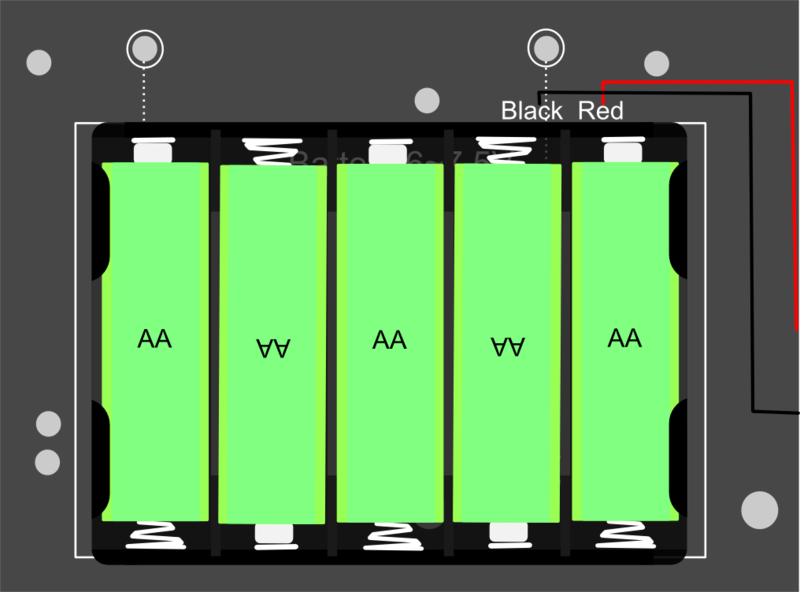 Batteries must be connected to make the motors move! If the Cherokey is only plugged in with USB power through the microcontroller, the motors will be under powered and will not work! Once the code has uploaded, keep the USB cable plugged in. Make sure the Cherokey's switch is ON and that a power supply is connected - e.g. 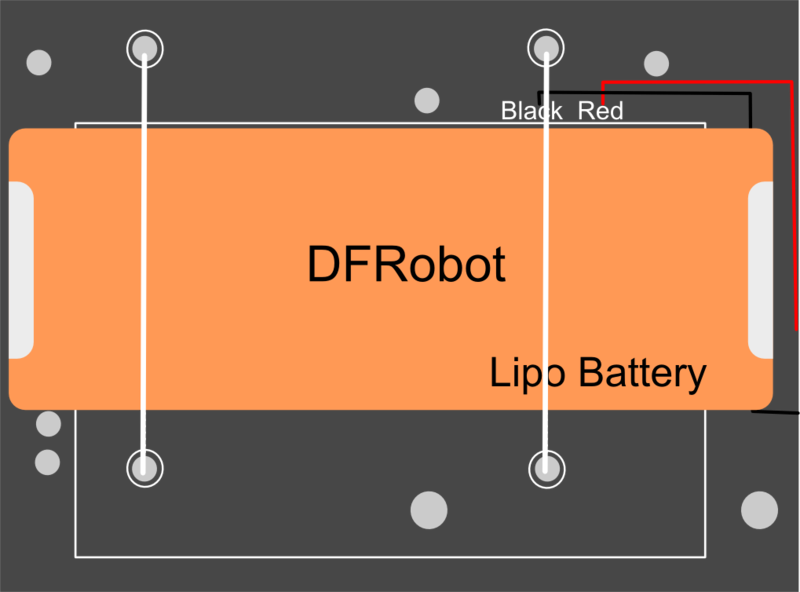 : a lipo battery. These are basic instructions for this program. Using the W, D, A, S, and Z keys on your keyboard, try moving the Cherokey. When you press "W", the Cherokey should move forward for 1 second, and then stop When you press "D", the Cherokey should turn to the right 90 degrees and then stop When you press "A", the Cherokey should turn to the left 90 degrees and then stop When you press "S", the Cherokey should move backwards for 1 second, and then stop When you press "Z", the Arduino IDE serial monitor should print: "hello world!" This is a function that tells the Cherokey to turn left. M1 and M2 are set as LOW and HIGH respectively. This means that the left-side wheels will turn backwards and the right-side wheels turn forwards. Therefore, if you find that your Cherokey's wheels are going in a direction you don't intend them to, try changing the motor pins signal. If they are going the wrong way and the direction pin is set to HIGH, try changing it to LOW, and vice versa. You can use the keyboard control program to debug and verify these settings.